Apartment N. 170: It can accommodate up to 5 people, it is rented from 150 € per Night (not per person). 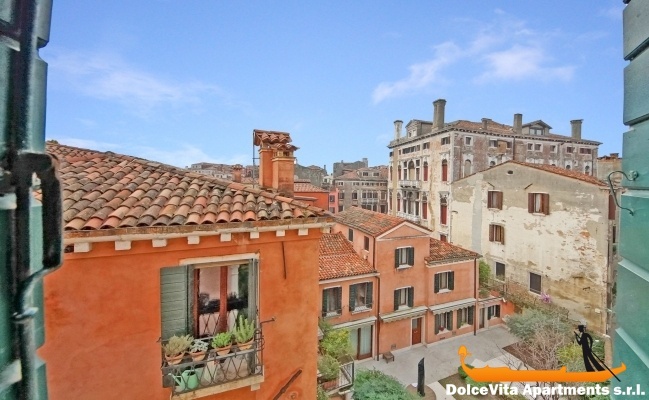 Charming Apartment in Venice San Polo for 5 people: Elegant apartment on the third floor in the district of San Polo, just a short walk from the historical center. 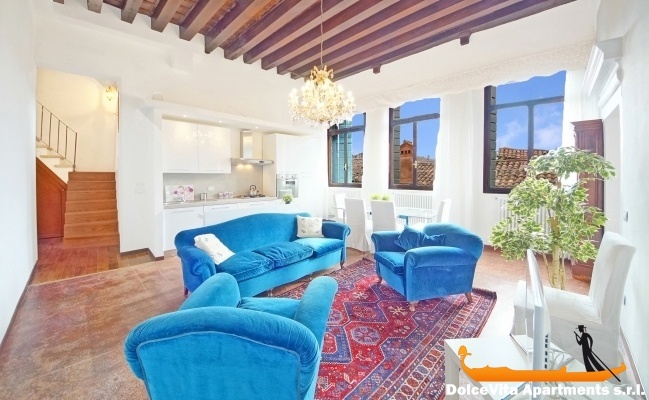 From the windows you can enjoy a wonderful view over Venice’s rooftops and the house is very close to the waterbus stops (there are two nearby) and to the main monuments in Venice. 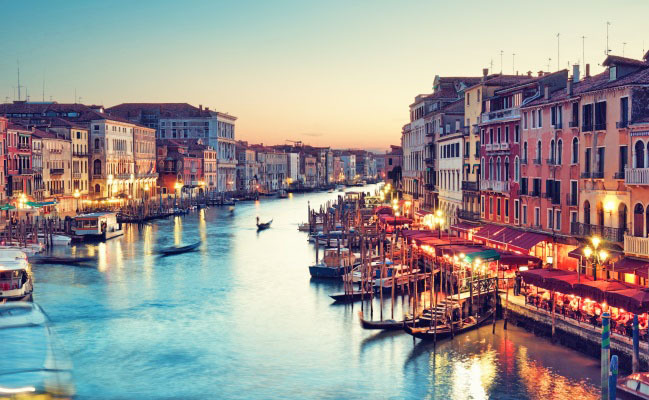 It is just 5 minutes walking from the Rialto Bridge and 10 from St. Mark’s Square. 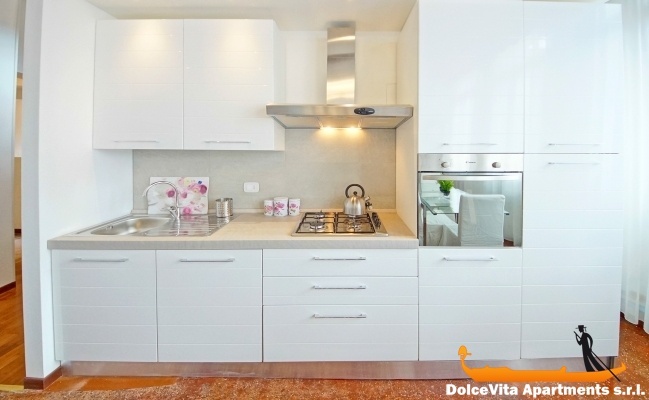 Although close to city center, this apartment is situated in a very quiet area. It consists of two bedrooms, a large living area and a bathroom with shower box, it is very welcoming and can accommodate up to 5 people. The kitchen is fully equipped and includes a microwave oven, refrigerator, freezer, espresso machine and dishwasher; you will also find a washing machine, air conditioning, heating, satellite TV and Wi-Fi connection. Sheets, blankets and towels are provided. Thanks for all your help. We loved the apartment! It would be good to provide a citronella product in the apartment as we were all very badly bitten by insects but that is just a suggestion. Also the air conditioning could be better but I only mention these 2 things in case it is of help. Below is our rating and our review. We loved using your site and would definitely use again. We would rate the flat 5. The location of the flat is superb, a lovely, characterful area with shops and restaurants yet the area is also tranquil. It is also very central for sight seeing. We used the Rialto market a lot and it was minutes away. It was easy to buy all we needed for our stay very locally. The flat itself is excellent.. We loved the high ceilings, the airy, feeling of space and it was very stylishly furnished and well equipped. The apartment was very comfortable and relaxing. Bedding was very good and towels were plentiful. On arrival the flat was spotlessly clean. The air conditioning was helpful but it was very hot during our stay and it wasn't quite cool enough. All in all, a wonderful apartment which we would love to visit again. The service we received was superb, totally faultless. The website is extremely user friendly, lots of vital information is provided on booking the apartment. All email queries were dealt with very quickly. The potential to cancel if necessary and pay the balance on arrival, makes booking with the company very attractive. Contact was easy on arrival with Fabio and we were met at the flat very punctually. The young lady who met us was very polite and helpful. The whole experience of using the service was first class. 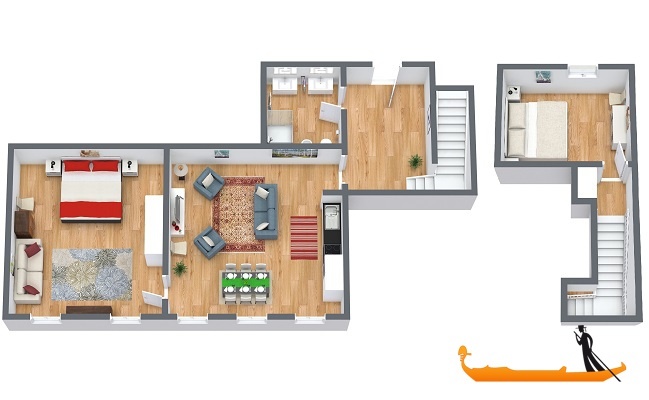 An excellent 2-bedroom apartment for a family or two couples - very spacious with high ceilings and large windows, nice modern kitchen and bathroom. 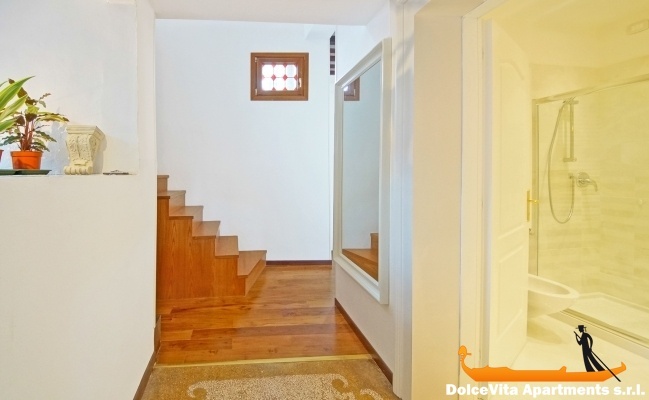 It is in a great location, very central, just a few minutes walk from Rialto bridge. Very pleasant apartment, in a central area, where we were very good. Ideal to feel a bit 'Venetians during a few days. The apartment N. 170 offers the comfort of a dwelling house and very naturally gives you the feeling of being at home. 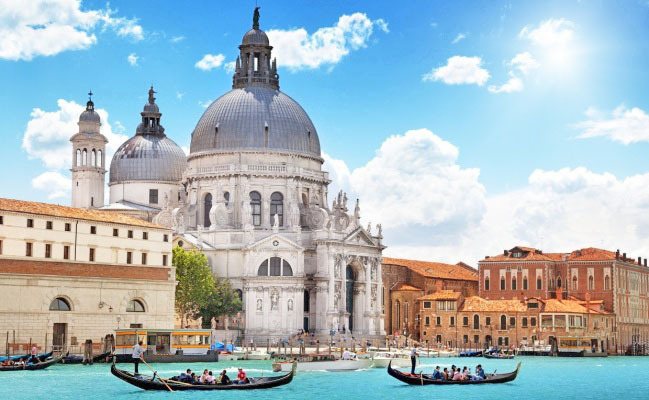 Bright, large and tasteful, you can enjoy Venice even in moments of rest always necessary in the excitement of a city that is beautiful but that can be hard to live, always in the forefront. The service was impeccable. If we will have occasion to come back (and we will) we won't forget the solutions you offer. We had a pleasant stay, and as it wasn't our first time in Venice we can really assess that the apartment was an excellent choice. It is quiet and spacious, elegant and well-furnished. Tableware etc. was provided sufficiently. 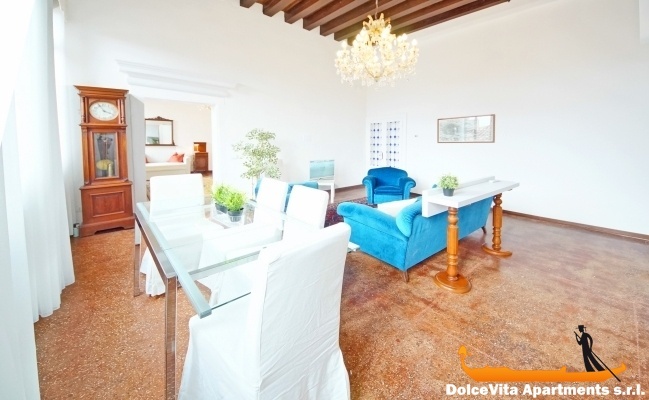 The apartment is comfortably situated in the centre of San Polo, near Rialto and the fish market. The view from our window over the roofs of Venice was lovely. 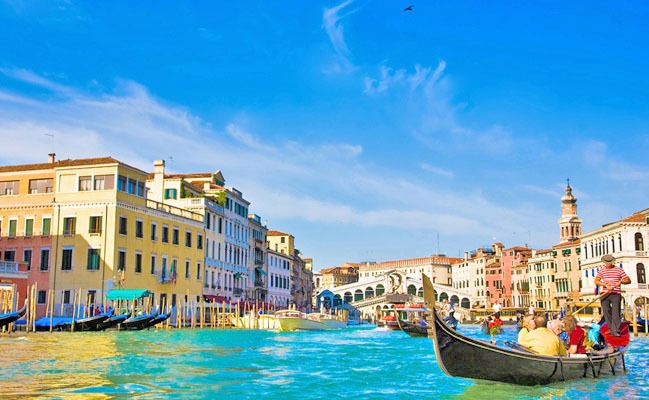 There are two vaporetto stops nearby, and everything worth seeing can easily be reached. Apartment very nice, functional, near the places to see, very well arranged. We enjoyed the tranquility of the area ,while being 10 minutes from the center of Venice. The apartment was very clean.